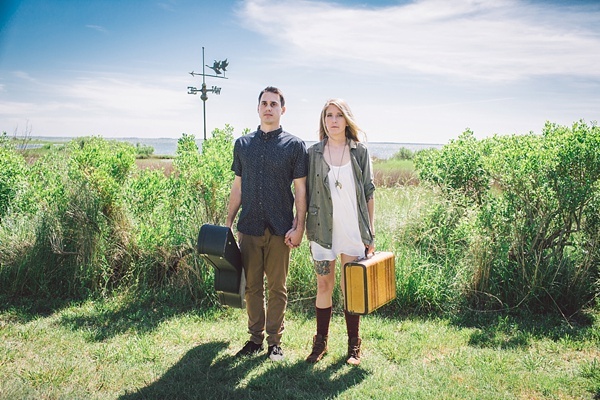 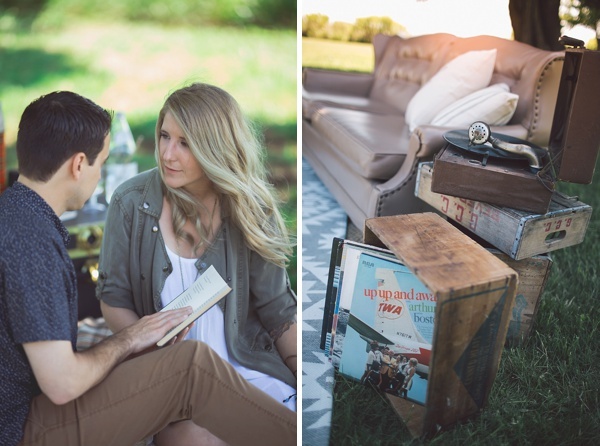 Describing themselves as "just a couple of hipsters in love from Virginia Beach," Whitney and Phil have the most genuine hearts and absolutely adore each other -- which shows through and through in their engagement session with Jackie Watson Photography! 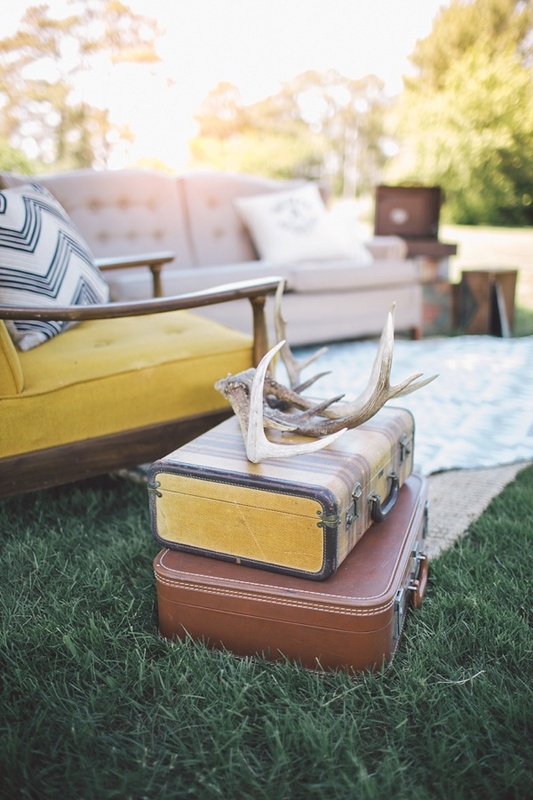 With antler decor, retro suitcases, vintage thermoses, and knit blankets from Mad Hatter Vintage Rentals and Styling, it set the most playful and cozy scene at BayVue Estate in the small town of Susan, Virginia where these two lovebirds will soon be getting married. 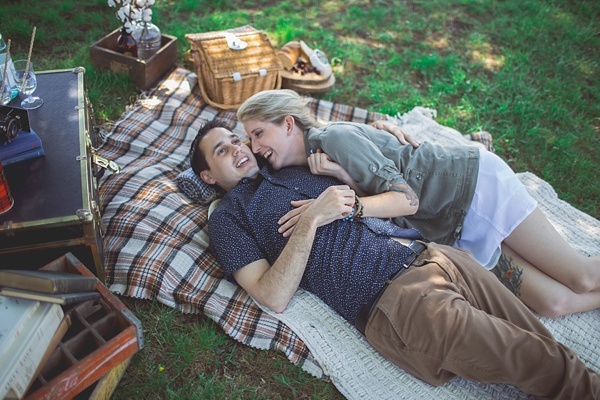 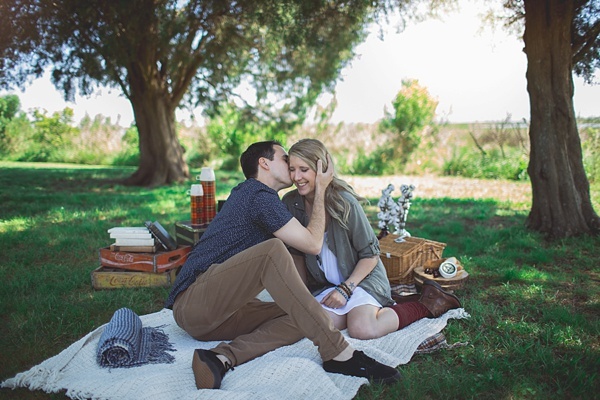 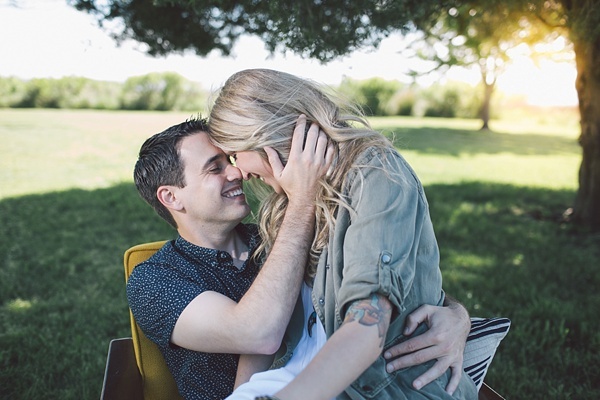 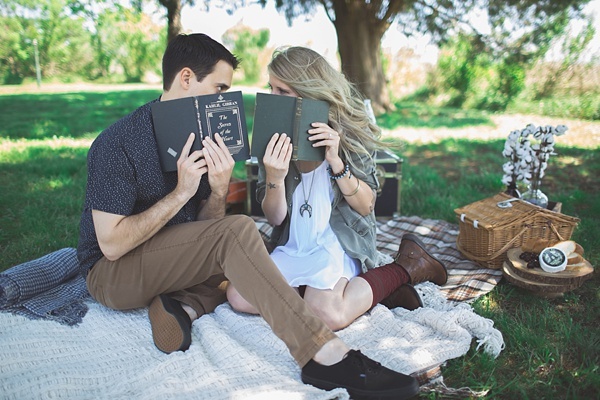 We love when engagement sessions pull in couples' casual personalities in a way that the wedding day doesn't always allow, and this one is no exception! 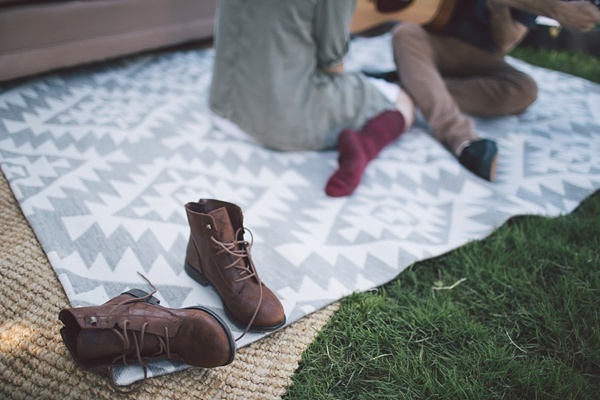 Bring on the fun and relaxation in the shade!